If this cookie doesn’t capture the seasonal taste of Christmas, then I don’t know what does! These cookies are chocolatey, oh so fudge-y, and studded with bright colorful chunks of peppermint bark. Perfect with a tall glass of milk next to a decked-out tree. These peppermint bark chocolate cookies are the first to be eaten at a cookie swap, and are bound to become a holiday staple after you take your first bite. Perfect for in-laws, holiday parties, or leaving on a plate for Santa! You can buy peppermint bark at any candy store or specialty food store, or you can simply make the peppermint bark yourself. If you want to make life even easier just add some white chocolate chips and crushed peppermint candies in lieu of peppermint bark. These cookies freeze very well, either unbaked or baked, for about a month. If unbaked, freeze all the dough balls on a single baking sheet until solid, then transfer to a freezer bag or storage container. No need to thaw before baking; just add an extra minute or two to the baking time. If already baked, make sure to cool completely, then wrap well in aluminum foil and transfer to a freezer bag or container. Want more cookies for your cookie tray? Updated December 23, 2018 : We spiffed up this recipe to make it sparkle! No major changes to the recipe. Yield: Makes approximately 3 dozen cookies. 1 Prepare for baking: Preheat the oven to 350°F.Line a baking sheet with parchment paper. Sift together the flour, baking soda, baking powder, salt, and cocoa powder in a bowl and set aside. 2 Make the cookie dough: Beat the butter and sugars together for about 2 minutes with an electric mixer at medium speed, until completely mixed and light in color. Add the egg and the vanilla extract until well mixed, about a minute. Be sure to scrape down the sides and the bottom of the bowl halfway through. With the mixer on medium speed, add the sifted flour mixture to the bowl slowly. Stop once all of the flour is incorporated (do not over-mix). 3 Fold in the peppermint bark chips using a stiff spatula. 4 Scoop out the dough: Take small spoonfuls of the dough and roll between your hands to make 1-inch sized balls. Arrange on the baking sheet, spaced a few inches apart. 5 Bake the cookies: Bake for 10 to 12 minutes. Let cool on the pan for a few minutes, then transfer to a wire rack to cool completely. Hello! All photos and content are copyright protected. Please do not use our photos without prior written permission. If you wish to republish this recipe, please rewrite the recipe in your own unique words and link back to Peppermint Bark Chocolate Cookies on Simply Recipes. Thank you! I used Ghirardelli’s baking peppermint bark and 1/2 ts peppermint extract. I thought the cookies were very ordinary. Not worth the effort. I made 3 dozen cookies for an exchange and my taste tester begged me to make more to keep at the house! They are amazingly delicious. I took the recommendations of other posts and used 1 t peppermint oil, then put 5 crushed candy canes in a 1cup measure and filled the remainder of the cup with white chocolate chips. I chilled the dough 30 minutes before using a melon baller to spoon onto the cookie sheet. 12 minutes cooking time was perfect. Thank you for a great recipe! Do you have any suggestions to swap out all purpose flour for coconut or almond flour? I would recommend using a flour replacement. Bob’s Red Mill makes a wonderful gluten-free flour replacement that can be used 1-for-1. Outside of that I’m not sure what a straight out swap for almond or coconut flour would do. However, if you test it out I hope you’ll let us know how it goes! I know this was posted many years back, but I made these cookies last night and they turned out amazing. Added 1/2tsp of peppermint extract, but think I will up to a full tsp next time. Thanks for the recipe Elise and Garrett! These are now my all time favorite Christmas cookie – and everyone always asks for the recipe. I use 5 smashed candy canes and a few handfuls of white chocolate chips, along with a bit of mint extract in with the vanilla. My son suggested rolling them in Christmas colored nonpareils, and that makes them even more festive. I’m on year two of using this recipe, and I’m sure it will be a regular for many many more years. I made these again last night, and I have to tell you that they are one of my favorite holiday cookies of the last few years. I did the “cheater” method and used white chocolate chips and crushed candy canes this time, and it was still amazing, and just the perfect amount of mint. 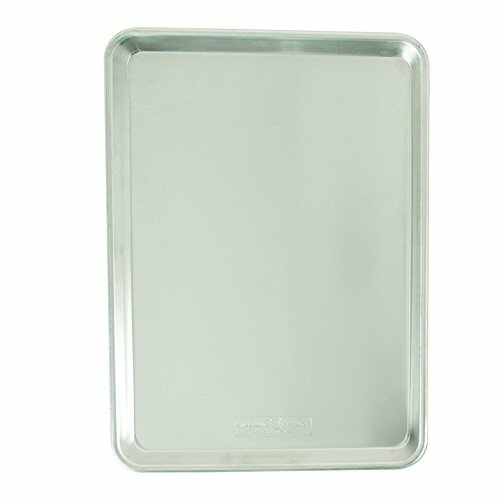 I also use this cookie base for all sorts of chocolate cookies, it is wonderful. Thanks!! Terrific! I used Trader Joe’s peppermint bark which isn’t too sweet or minty, as I learned making this cookie. I reduced the white sugar by 1/4 cup, which is my habit, but b/c the bark wasn’t too sweet, I could have used all of the sugar. I added 1 t coffee powder and that made them pretty rich. If I were to use coffee powder again, I’d use 1/2 t. If I use the same bark again, I’d add a bit more crushed candy cane. First batch I used a cookie scoop without making balls. Turned out rustic and lovely. Next batch I rolled little balls: smoother and fluffier and lovely. This is a great cookie base… I can imagine various combinations of orange/caramel/butterscotch/coconut/nuts, etc. Thanks! I just made these cookies today. Bravo! They are so amazing! You are right Elise. These cookies are definitely made to impress. They are so chocolate and fudgey and cooling and so flavorful! I highly recommend these cookies for the holidays. I didn’t have time to make them during the holidays. I would rather minus a sugar cookie or gingerbread cookie for the 2 holiday cookies I usually make. These are too good to not include during the holidays. Thank you for such an amazing recipe! FANTASTIC. I asked my blog readers about what to do with all this peppermint bark that I had [Costco sells them in 2-lb containers! ], and one linked me to this recipe. It sounded amazing, and I decided to bake these the same night. Of course, finishing at 11pm, we couldn’t really eat too many because of the sugar rush, but what we’ve tasted – SO GOOD. I’m going to have to post pictures and a link back to this recipe! Ack! Dunno what went wrong… Been in the kitchen baking ALL day and tried this recipe out for the first time (made my own bark and all!!) and they aren’t quite right… On the same sheet some are fine and others are deflated and crunchy!? I’d like to try again but need some guidance on where I’m going wrong. I use silpat sheets and a cookie scoop so all are same size and should be cooking consistently. I tried chilling some of the dough, and some I didn’t. But I can’t get any consistency… HELP!!?? Just tried to make these and I can’t imagine where I went wrong. The dough never came together – it was like working with dirt. I’m not sure I can serve these cookies to anyone; they’re like hockey pucks. They sounded so good, too! These were great! I used a thick, homemade bark made with white and dark chocolate in half the dough. For the other half, I added cinnamon, chipotle and dark chocolate chips. Both turned out delicious. My cookies were flat also. They taste good, but I am disappointed. I used Trader Joe’s peppermint bark. Followed all directions. The dough was very thick so I don’t think it needed more flour. I am seeking a replacement for a recipe I got out of an Oklahoma newspaper 5 or 6 years ago. I tried them because they called for cocoa and not chocolate (and that was what I had in the pantry), along with crushed candy canes, which were pouring out of my kids’ backpacks. They were roll cookies and intensely chocolate–not especially sweet, which set them apart on the christmas tray. I am going to try these with Dutch Process cocoa, since I have to admit crushing candy canes is both more difficult and less satisfying than it sounds. Thanks! Hi Garrett! I’m from Brazil and I love trying the recipes from ‘Simply Recipes’ and I loved this recipe. I have a question for you. As in Brazil we don’t have peppermint bark or candy canes I would like to know if I could make this recipe using melted chocolate and the peppermint extract just… and if so, how much I should add. I added these cookies to my Christmas cookie list this year, and it will be a permanent addition! Everyone has commented that they love the combination of chocolate and mint, but that each flavor stands on its own. Also, I made them using the peppermint bark recipe you have, and they are perfect. Thanks, Garrett and Elise! I just made these cookies- I think I have a new favorite holiday cookie! I made the peppermint bark-which was super easy, and the cookies turned out a little flatter than in the photo, next time I will try Garrett’s suggestion of chilling the dough first so they keep their shape. Can’t wait to give out my cookie boxes this year-these are SURE to be a favorite (as long as I don’t eat them all first-lol!) Thank you for another fantastic recipe!!! These were so great! I added a bit of peppermint extract to the chocolate dough, too, to bolster the peppermint bark flavor. I’m saving this (sans the bark) as my go-to chocolate cookie recipe. They have the perfect drop cookies texture- chewy but substantial. I just tried to make the cookies this afternoon. I used chocolate chips and candy canes instead of the bark. I made one inch balls, put them on the tray, and put them in the oven to bake. When they came out they were flat discs. Kind of bummed but they taste good. What could have caused this? Any ideas?